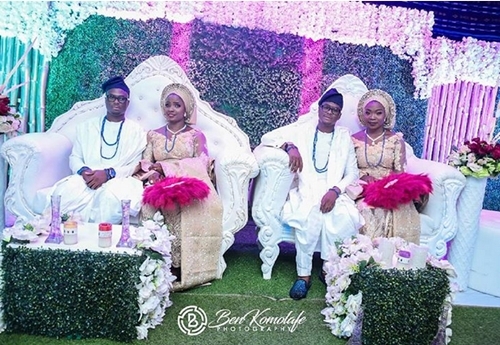 Wedding photos of two twin brothers from Nigeria who married two best friends on the same day have emerged online and have melted hearts on social media. 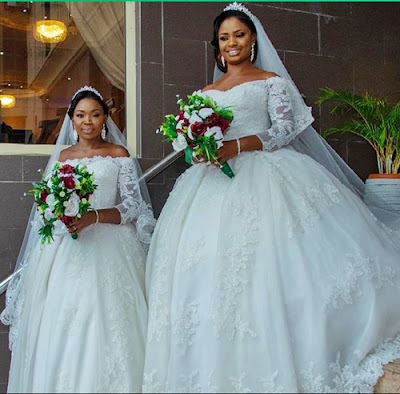 The brides who are the best friends identified as Onize and Angieshanna were seen in the shadow of everything beautiful as they celebrated a double wedding and closed the city of Lagos. Wedding photos have been circulating on the Internet with most people who want a kind of love that shows the power of friendship and the bond between twins. 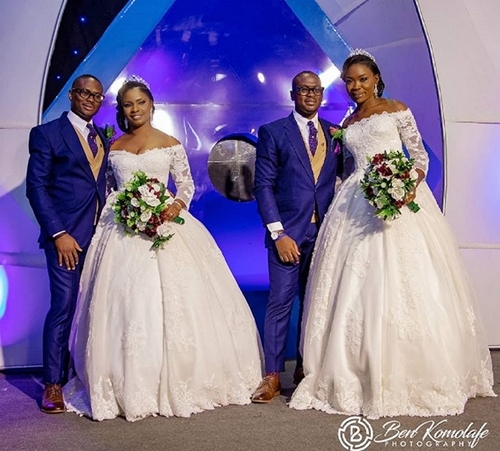 While the brides looked identical in their white bridal gowns with bright tiaras, the bride and groom looked handsome in their blue suits. Beauty, class and glamor were all elements that were presented in the aspect of brides and bridesmaids on a special day.